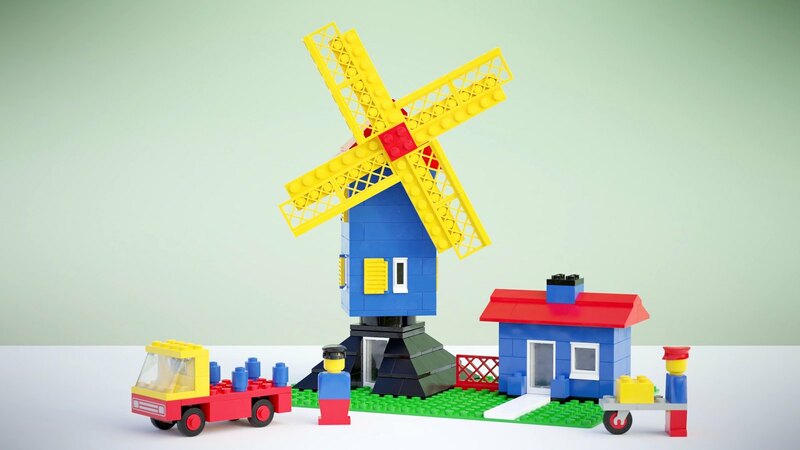 The fixed render of 550 Windmill with a vignette added for that extra pop. While uploading my last render, I noticed that something was wrong with my Windmill. It didn’t take long to figure out what. When I’d rotated the top part, I must have grabbed the wrong rotation point. Easy fix, but I needed to do more then render it again. Time to play in Blender. I was inspired by what Nicolas was doing with his new Mecabricks render. He’d posted a render with vignetting around the edges to show off Mecabricks’ render farm features. After fixing my model, I wondered how hard it would be to do the same. To my surprise, not very. Digging around, I found a decent tutorial on Blender Stack Exchange. 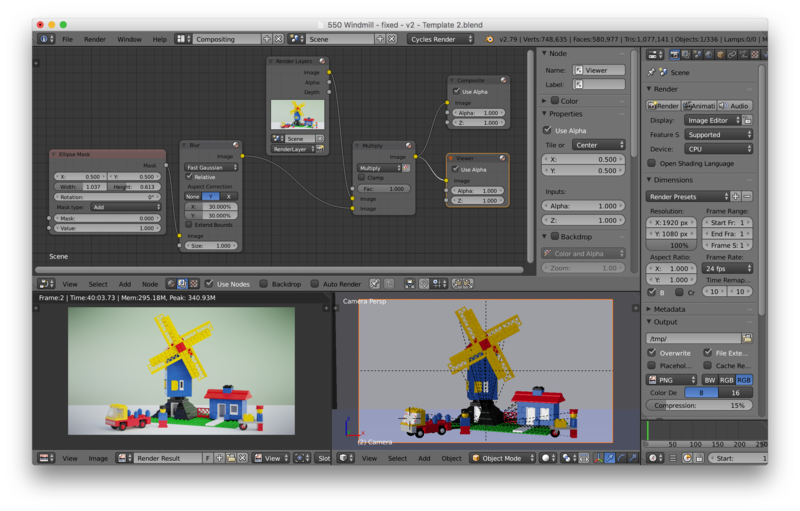 It is straight forward, once I remember how to get into compositor mode. I hadn't played with it in over a year, so my mind seized up trying to find it again. After a quick search, the flog cleared and I put together the following node tree. Although a fun experiment, I didn’t expect it to add much to the final render. To my delight, I was wrong. I like this version better. Flipping between the original and this one, colors seemed to pop better. There is a bit more atmosphere to the image. I’ll be sure to try it again in with future images.